How bullish are you about your business? Our loan outstanding has dropped from AED 1.3 billion to 470 million. By the end of the year, we will bring the current loan outstanding down to AED 320 million. Meanwhile, though, we will look to borrow from AED 800 million to one billion to continue to extend our business, be it towards constructing plant rooms in Business Bay (Upper Business Bay and Lower Business Bay, 45,000 TR, each) or in Healthcare City. Also, we have a customer in the Jumeirah Beach Residence area, which is undergoing extension. Further, in Mirdiff, we will be converting a semi-permanent plant room into a permanent plant room. In Business Bay, we will be constructing two plant rooms, one in Lower Business Bay (by the year 2013, 45,000 TR capacity) and one in Upper Business Bay (by 2014, also 45,000 TR capacity). Of the AED one billion in loans arranged this year, we will partially withdraw the money in 2013, and the rest in 2014. Considering that reticulation is a massive cost and comes with considerable risk to district cooling operators, did you consider proposing to the Government or to the developer to pay for laying the piping in the case of the Upper Business Bay and the Lower Business Bay projects? I’m glad you asked the question. It is better for district cooling providers to do the piping. We have 10 years of experience in the district cooling business and understand it. We have adopted the approach of building as per necessity. If we have to put piping at a later stage, we will cut the road and still do it cheaper, as opposed to putting everything ahead of time and then waiting for occupancy. We have to take the responsibility and the risk, because we understand the business well. Most other people put the network and the plants ahead of time. In doing so, they did not look at it as business owners. They did not build as was required. In the two new Business Bay projects, you will be incorporating facilities to receive treated sewage effluent (TSE). Is there enough TSE available, considering there is competing demand? 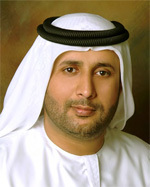 In using TSE, we will be working very closely with Dubai Municipality and studying the situation. There is a possibility of a 15% shortage in wastewater coming from the cluster of apartments, in which case we will be using potable water. So it is about using a mix of potable and TSE. If we face a shortage of TSE, we will inject potable water. You have announced you are aiming to earn a LEED Platinum rating in the Lower Business Bay district cooling plant. How do you plan to reconcile with the fact that the blow down water from the cooling towers may not be conducive to protecting the soil? LEED does place emphasis on protecting the soil, doesn’t it? We are investing money in a new technology to use TSE and to take case of the blow down. So the blow down will be of the same quality as the TSE that we feed into the system. We will shortly be announcing the technology. How do you perceive the district cooling market in the region? There still are considerable headwinds for the industry to gather any momentum, correct? The District Cooling market in the UAE is valued at AED 15 billion. It will become AED 42 billion in the next five years. District cooling is the most efficient system. In our estimation, RACs have an efficiency of 2.3 kW/TR and DX units (splits) manage 1.9-2 kW/TR. Chillers have an efficiency of 1.7-1.8 kW/TR. In the case of district cooling, even our worst plant room is able to achieve an efficiency of 1 kW/TR. And our best is able to achieve 0.9 kW/TR. The people who were challenging us 10 years ago, when we started out, have changed their view about district cooling. Developers see an ROI with district cooling and are pushing for it. Three to four developers in Business Bay and the Tecom C area who went for bulk meters are today asking us to convert to sub metering. People see savings through district cooling in overall air conditioning use. If the cost for air conditioning a one-bedroom apartment is AED 15,000 a year for power and maintenance, we can offer 25-30% savings on that through district cooling. In district cooling, a benefit is that you pay for what you use. So it is an optimisation for the apartment owner. Do you plan to reduce the tariff of district cooling? We started at a competitive rate during the boom period. In the early days, it cost AED 200 per square foot to construct a plant. During the boom period, the cost shot up to AED 700 per square foot. The rise impacted our IRR, but our rate was competitive even during the boom period. We decided to keep the rate the same, because we knew that if there is a boom there will be a dip. Today, we are out of the financial crisis, but we are at the same rate. We will not increase the rate, but as far as reducing it is concerned, we will need to study that. We cannot treat the old and new customers as the same. One of the recent highlights for Empower is ASHRAE giving approval to the District Cooling Design Manual that you sponsored. You must be mighty proud. If you want to be a leader, you have to contribute to causes beyond corporate interests. District cooling has not been done in a professional manner and, generally speaking, contractors have not been delivering efficient systems. So we stepped forward and drove the initiative to establish a District Cooling design manual. It took USD 250,000 to develop the manual, and I am proud to say it has become part of the curriculum in the mechanical engineering department of universities in the United States. This is a unique achievement. The Manual discusses everything from sizing of pumps to cooling tower specs. It shows the most optimised way of doing a plant room. We have been witness to the shifting of the District Cooling business from the West to the East. We have developed expertise in District Cooling. And today, to be able to share the knowledge and contribute to the wider industry gives me great pride. Speaking for Empower, we have the experience of doing District Cooling. We have built 42 plant rooms. How many companies have built that many? If we took the experience from each one of them and clubbed them together, we have a unique model. The Manual covers District Cooling and District Heating, so it is international. If someone wants to build a District Cooling plant in Turkey, with its moderate weather, you have a standard design guideline; likewise, any company in a Paris suburb can build a District Heating plant using the Manual. The Manual speaks about thermal energy storage. Does this mean you will lend your voice to the need for a preferential tariffs regimen in Dubai? As we all know, District Cooling providers in the region have been crying themselves hoarse for a better treatment from the electricity utility. We are a part of DEWA and we are thinking of conducting a workshop and coming up with a solution. There are companies that are looking to maximise profit, but we at Empower will look at the issue from a national interest point of view. We have always done so. We have had TSE in even our older plant rooms, at a time when it was not mandatory to use TSE. What’s the next step forward for Empower? You have announced you have over 400,000 TR of district cooling. Do you have plans of running district cooling plants elsewhere in the region? What about Qatar? Yes, we are looking to share the knowledge we have gathered with the GCC. With Qatar, it could be a JV. At this point, I can’t disclose beyond that. We are thinking of how to go about doing it. Should it be JV or knowledge transfer of project experience? Yes, we will move, but when is the question. I suppose when we are on solid ground. I want to look at the benefit for my corporation and don’t want to see my company at risk. Apart from that, I am looking at other aspects as the way forward. In one or two years, we hope to be the largest District Cooling provider in the world. We have driven the initiative to produce the District Cooling Manual. My next aim is to have an institute of District Cooling to train people in District Cooling. Further, we would like to launch an association for District Cooling in the UAE and are in talks with other District Cooling providers, like Tabreed. We will achieve it. IDEA (International District Energy Association) in the United States is 104 years old and has 1,000 members. We need to start one now. Why not?